THIS Nondisclosure Agreement (the “Agreement”) is made and entered into as of Date, by and between Name of Company (the “Company”) and Name of Other Party, (the “Recipient”) (collectively, the “Parties”). 4. The validity, construction and enforceability of this Agreement shall be governed in all respects by the law of the State of Denmark. This Agreement may not be amended except in writing signed by a duly authorized representative of the respective Parties. This Agreement shall control in the event of a conflict with any other agreement between the Parties with respect to the subject matter hereof. The failure of either party to enforce its rights under this Agreement at any time for any period shall not be construed as a waiver of such rights. 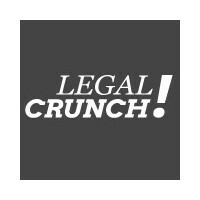 version 6 by LegalCrunch Inc.